East Side Glass provides mobile window installations, window replacement and window repair in Portland, OR for residential and commercial properties. We pride ourselves on years of customer satisfaction and service and will do whatever it takes to make YOU happy! We do anything from custom glass work to a basic window replacement. We invite you to call or contact us so we can provide you with a entirely new perspective on your residential home or commercial property. We utilize high tech and energy efficient (Low-E) windows and glass and offer all types of glass and window service. From installing windows to glass repairs, remodels, and replacement, including glass doors, bay windows, french doors, egress windows and store front entries. Save money on your energy bills and call us today! 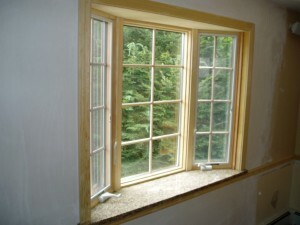 We offer top to bottom glass windows installation and repair in Portland for your home or residence. If you own an older home or one without double-pane or other Low-E type windows, we highly recommend doing an upgrade and saving more money in the long run on your residential windows! Need repair service for your storefront or businesses windows or glass from failed or fogged units? Is it time for a custom window or glass application? We specialize in improving the look and functionality of your commercial property. Call us with any sizing or install questions you might have, we are here to help! Our customers are our livelihood and we treat them as such. East Side Glass prides itself on delivering superior service in everything we do, inside and out! Old fogged windows need to be repaired, as they may be losing you hundreds of dollars a year in wasted energy. If you think your windows need to be repaired, please call us with any questions you may have. Most windows contain multiple panes of glass separated by sealed air space, and help insulate your home from temperature extremes. As they age, they may begin to get condensation on the inside of the glass, giving them a “milky” appearance. We will diagnose and tell you whether or not your foggy windows can be repaired or if they need to be replaced. Foggy windows cause your home to lose energy efficiency, so please do not hesitate to contact us today. We mainly service window installation and repair in the Portland Oregon metro area, although we do focus on East Portland including Gresham, Clackamas, Sandy, Fairview, Troutdale, Happy Valley, Estacada, Oregon City, and Milwaukie Oregon. Call us today at 971.202.2890 with any questions or concerns you may have.